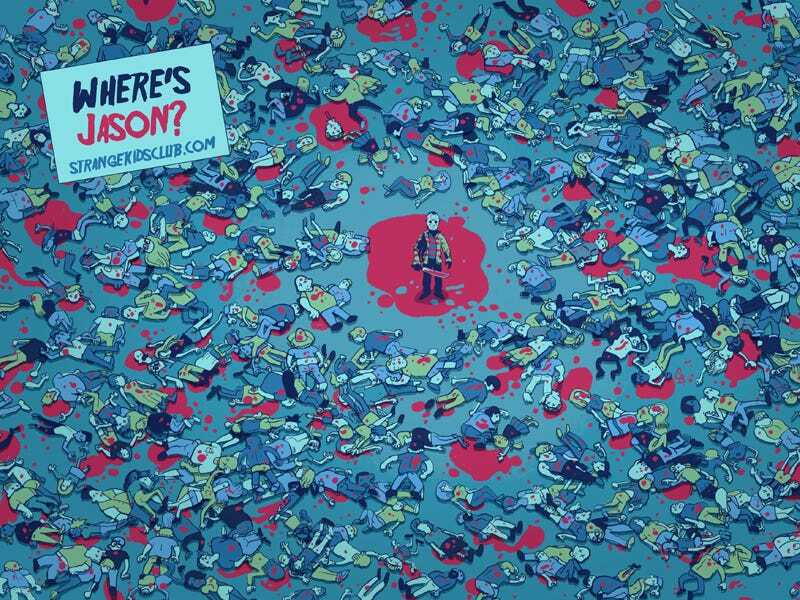 What if Where's Waldo went on a killing spree? Behold, Where's Jason! To celebrate the passing of another Friday the 13th, the folks over at Stange Kids Club commissioned this hilarious wallpaper from illustrator Glen Brogan. We kind of love where their minds are at, now someone please make a horror book with a collection villains like Where's Jason?, Where's Freddy?, Where's Michael?, and Where's Pumpkinhead? Thanks for the tip Gawd! Various desktop sizes available at Strange Kids.